Hi, my name is Dr. Cary Nelson. I’m a board certified family practitioner. I earned my bachelor’s degree at the University of California, Los Angeles, and studied medicine at the Universidad Autonoma de Guadalajara and New York Medical College. I also used to be one of the three-quarters of Americans who suffer from digestive health issues. For as long as I could remember, I had indigestion and irregular bathroom habits. In fact, these problems were so familiar to me, I didn’t even realize they were problems – I thought that was just the way my body worked. After all, I am a medical professional who practices what I preach, which is a healthy diet and lifestyle. It wasn’t until I learned more about probiotics and began incorporating them into my nutritional plan that my eyes were opened. For the first time in my adult life, my digestive system began functioning regularly...and as a result, I was transformed into a much healthier person – and a much happier one, as well. 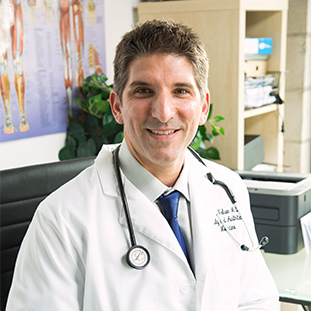 Since then, I’ve made it my personal and professional mission to help as many people correct their digestive problems as I can – including the countless individuals who may not even be aware they are suffering. Probiotic America™ allows me to further this mission by giving me the resources to research the latest nutritional breakthroughs and formulate cutting edge probiotic supplements designed to return balance to your digestive system. The letters, emails and comments my team and I receive on a daily basis tell me the mission is succeeding. I’m proud to say Probiotic America™ is well on its way to restoring our nation’s health...one American at a time.